Once again, I thank the many parents and teachers who have written to us to share their positive experiences with our ABCmouse website and apps. Thank you, ABCmouse, for letting my child learn new things. Now she can READ!!!!!!!!!!!!!!!!!!!!! ABCmouse has been amazing and extremely beneficial for my students. It has been a great tool that allows me to connect the class with the home life. It gives the parents that are not able to come to the school the chance to see and interact with lessons their child(ren) are doing. … It is exciting and engaging. I love ABCmouse. I have used it with my students and my grandchildren. They have all shown an increase in skills after a short time. The lessons aren’t too long or wordy and are very engaging. In building the student/class course structure, ABCmouse gives you options in modifying lesson plans and activities to assist students who need additional teaching to help reach their goals. The lessons continue to keep students engaged in the activities at a constant pace. The interface allows the instructor to visualize the progress of each student and adjust lesson objectives accordingly. My granddaughter loves this program. She is turning 7 this year and entering 1st grade and loves all the activities ABCmouse offers. Hours of fun and learning—thank you ABCmouse! I love the ABCmouse activities and how it tracks progress and keeps the students challenged as they learn. … Overall, AWESOME content and learning system … and the graphics are GREAT! ABCmouse has really helped me differentiate lessons for my students. I love ABCmouse. My kids are learning so fast and they are enjoying everything that they do. They’ve never had so much fun learning new things. This site is great, I recommend it to everyone. Back in October, I posted about Age of Learning‘s launch of the ABCmouse.com Early Learning Academy app for Android devices. This post is a quick follow-up to check in on their success. At the time of my last post on the apps, I mentioned that we had over 1,500 ratings on the free Android app in the Google Play store, with over 1,000 of them 5-star. 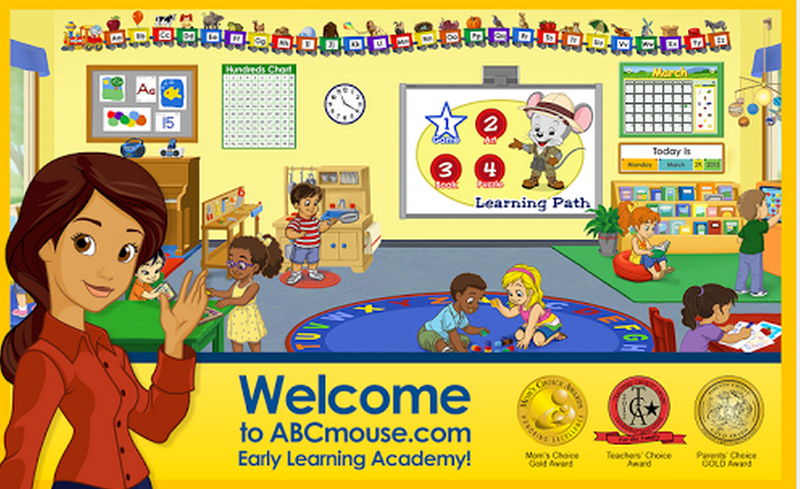 I’m pleased to report that, as of today, our ABCmouse.com Early Learning Academy app has just over 5,000 ratings, with more than 3,400 of them 5-star ratings. The Google Play store also reports that there have been between 500,000 – 1,000,000 installs of the new app. Great progress! The latest ABCmouse.com Early Learning Academy app is also currently earning a stellar 4.5-star rating in iTunes. Lastly, the app was recently featured as one of the 15 must-have kid apps for 2015 in the San Antonio Express-News.